RTIF: Are you in Paris? 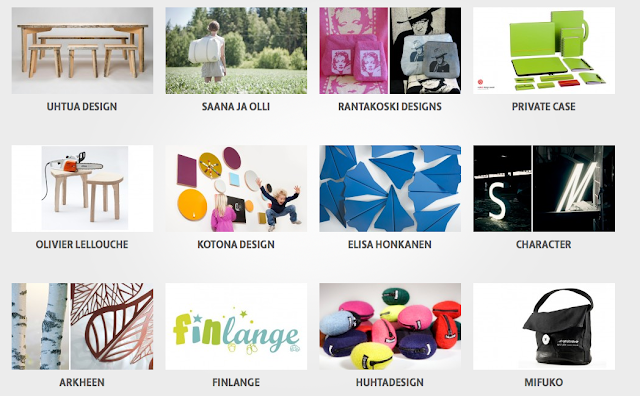 Putiikki (boutique in Finnish) sells products from 46 young and innovative brands from Finland. From Putiikki shop you can find something to wear, something to eat, something to play with and something to ease your life with. Some of the products are celebrating the original “Finnishness” while some make statements of current topics talked around the world. There is high fashion and hand made items, fine jewellery and humorous pieces to wear. In all you can see the character of the designer and personal reasoning to create. You might laugh when you see the hairy underwear from Nutty Tarts or start thinking about work when you bump in to the award winning office items from Private Case. No less you might be surprised about the shoe you wear around your neck or the one dress that becomes three. After opening its doors for the very first time in Paris Putiikki shop will carry on its travels to other European capitals, especially in 2012 when Helsinki is the Design Capital of the World. Finnish Embassy in France, The Finnish Institute in France, Maria from MadeBy (cheers for the ideas and keeping us calm), the guys at Meet My Project, Inka Rusi (thanking you for letting us to use your creativeness), Thomas Leppä & Mikko Vartio (this text would not be here without you two! ), Leena Lehtonen (love you for being a part of this!) and all other who have offered us their help, opinions and time. I absolutely love this idea. We need to do similar things here in US. In San Diego where I am living now, this August will be dedicated to the 'Month of Finland' and there will be a Finn festival. I wish they would have something wonderful like this. I will drop you an email to know more about this.